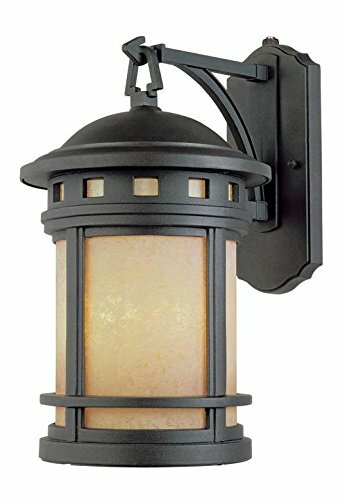 Oil Rubbed Bronze Single Light Down Lighting Energy Star Outdoor Wall Sconce from the Sedona Collection | Fountain City Art Ctr. This One Light Wall Lantern is part of the Sedona-es Collection and has an Oil Rubbed Bronze Finish and Amber Glass. It is Title 24 Compliant and Energy Star Compliant. Type of Bulb: GU24, Wattage: 13. Lenght: 11.75in, Width: 9.00in, Height: 16.25in.